Seine River Cabinets has been designing and manufacturing custom cabinets since 1980. The company first started in Lorette, MB and later relocated to Winnipeg. 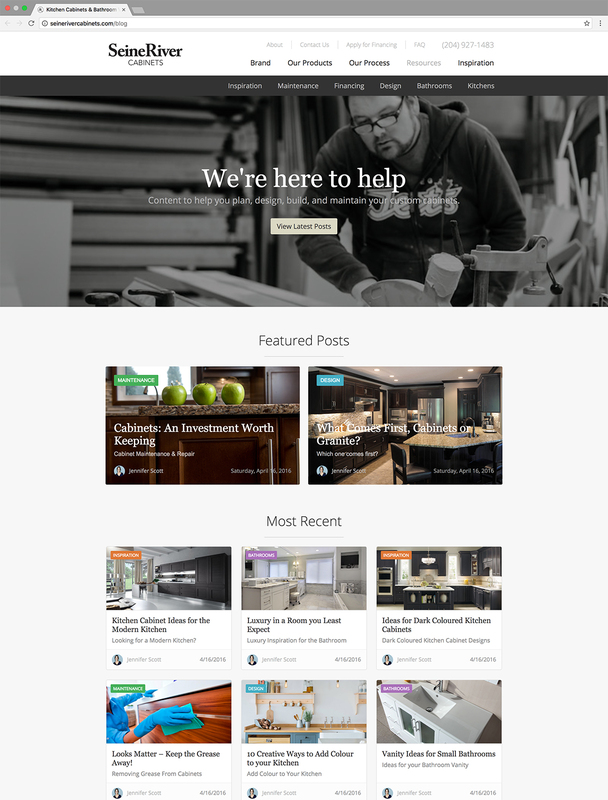 What initially began as a small independent cabinet maker has since grown into a full-scale operation that builds cabinets for both residential and commercial customers. Seine River initially approached us to develop a marketing strategy that would position them for national expansion. After our initial consultations, it became clear that Seine River needed to update and revitalize their brand, refocus their position, and develop clear and focused messaging to communicate their unique selling proposition. The contract kicked off with a thorough analysis of the cabinet manufacturing market and competition, and a look at consumer data within the industry. We discovered that very few cabinet manufacturers were uniquely positioned, or said anything to differentiate them from competitors. Through this process, it was also discovered that as audiences are exposed to a wide array of well-designed products in a growing variety of categories, they are becoming more design-savvy. As a result, there has been a shift toward simplicity in home and cabinet design. It became clear that it would be critical for Seine River to adapt the way they communicate and position themselves. They would also need to ensure that they are producing trend-centric products that appeal to their audience. It was decided that the Seine River brand would need to focus deeply on the people they were trying to sell to. They would need to align their positioning, messaging, and product with the needs, wants, and desires of their audience. Looking beyond the typical features and benefits would be instrumental in developing a brand that stood out against the competition. During our insight and research phase, we also examined which types of projects were the most profitable for the company. Through this analysis, it became clear that they should focus their manufacturing on the more profitable, higher-end cabinetry market. The brand would also need to be developed to speak to this high-end audience. Our research process had revealed that customers were becoming more sophisticated in their design preferences. To address this, it was important for Seine River to re-enter the marketplace with a strong, customer-centric brand and communication platform. We would need to find ways to communicate the company’s strengths, while allowing them to stand out amongst the many repetitive messages of the cabinet manufacturing industry. Based on research and customer interviews, it was evident that customers buying cabinets want more than just a new kitchen or new cabinets. They want their space to reflect a better version of themselves. This transformation will likely fulfill a vision they have had for their space for some time, and when completed, it will give the customer a sense of pride and a feeling of transcendence. For customers, Seine River delivers more than just cabinets: they deliver pride through transformation. This would be the insight that guided the strategy and development of the new Seine River brand and communication platform. We began by working with Seine River to shape their brand personality to be more customer-centric. Seine River would help their customers achieve something that would change how they perceive themselves. It would be important that they project themselves as transformative, but remain down-to-earth and approachable. A set of core messaging pillars were developed that would support the brand, and help the company communicate effectively with their target audience throughout the customer journey. A dream space should be as unique as the individual. 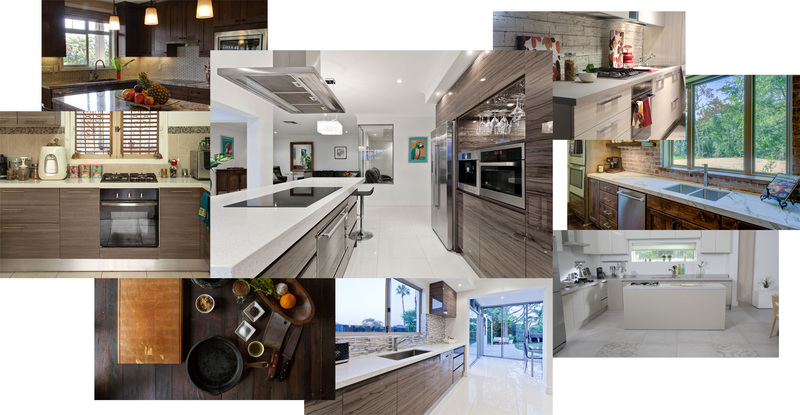 As a true custom cabinet maker, we believe that tapping into the limitless individuality and creativity of our clients will lead to the best design. We let the individuality of our clients shine, and are not limited to a list of spec plans. Our dream spaces are conceived in the imagination, but become a reality through design. It is through this design that we are able to deliver precisely what our customers want. In this way we become a customer-focused organization. We see production as a possibility. With almost no restrictions or limitations, we are able to bring unique, innovative, and one-of-a-kind designs to life. The products we manufacture are truly custom — not only in how they are designed, but in how they are built. Cabinets are no longer just for function — they’re an integral part of the overall feel of our homes. Achieving the renovation of our dreams is important, but getting there can be daunting and stressful. We are committed to making the process easy and enjoyable for our customers by instilling confidence at each step along the way. For over 30 years, we have committed ourselves to superior craftsmanship and a standard of quality rarely seen anymore. From our design innovation, material selection, production processes, and quality control — we take pride in what we do, and we do it well. With these pillars serving as the foundation for brand messaging and communication, Seine River could now consistently structure their messaging to reflect them. Every piece of communication distributed by the company, across all channels, would now align with at least one (if not more) of these core brand pillars. 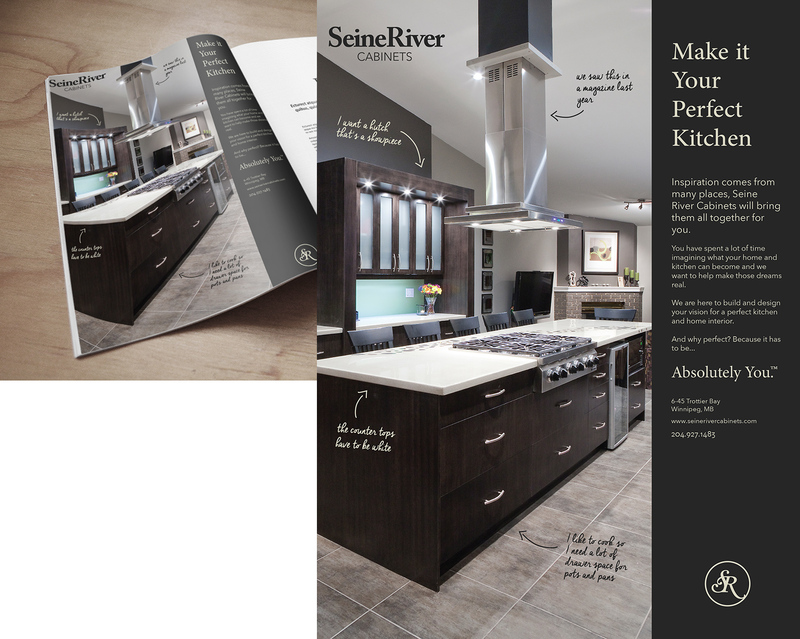 With consistency across all their messaging, Seine River could now develop brand recognition with their audience. 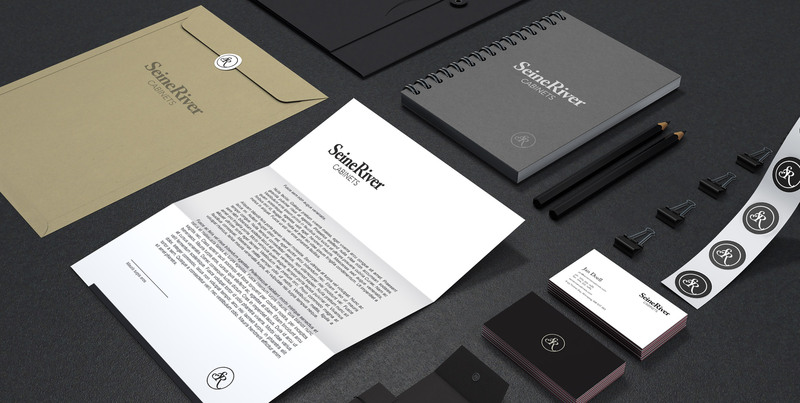 At the time of this project, Seine River’s existing identity inspired our direction for the new brand. Taking cues from their current use of a serif font mixed with a sans-serif, we developed new typographic guidelines to modernize the usage and elevate the perception from their dated and downmarket brand. The aim of the identity portion of the project was to visually reposition Seine River as a high quality aspirational brand that is both modern and classical. Once the brand strategy and identity phases of the project were complete, we moved into the asset development and marketing phases of the project. 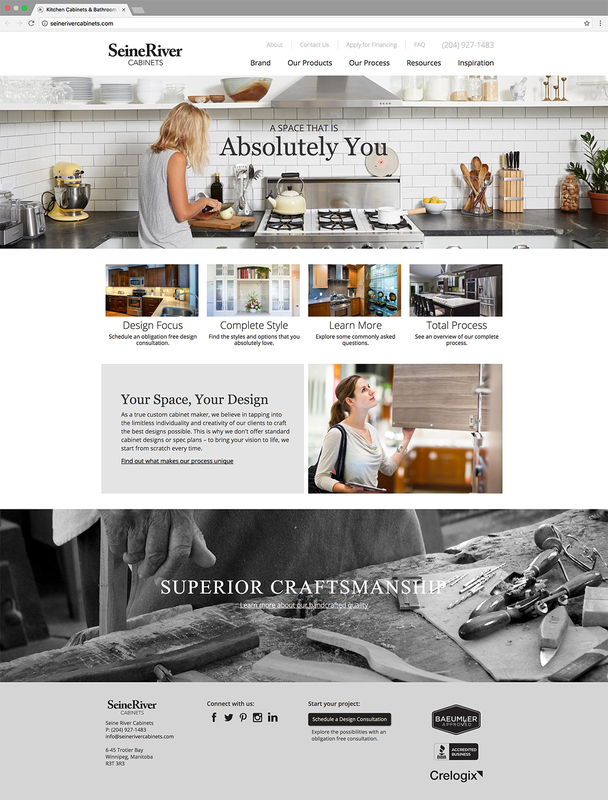 A new consumer-facing website was developed, which included a comprehensive resource section. 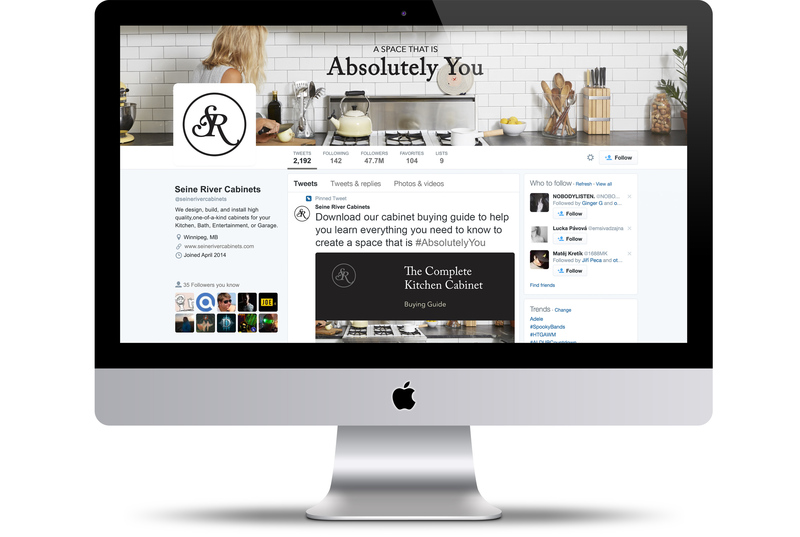 A set of social media assets was created for Seine River to use across all their channels. This included branded profile assets and timeline image schemas, to be used when posting and promoting content across social media. 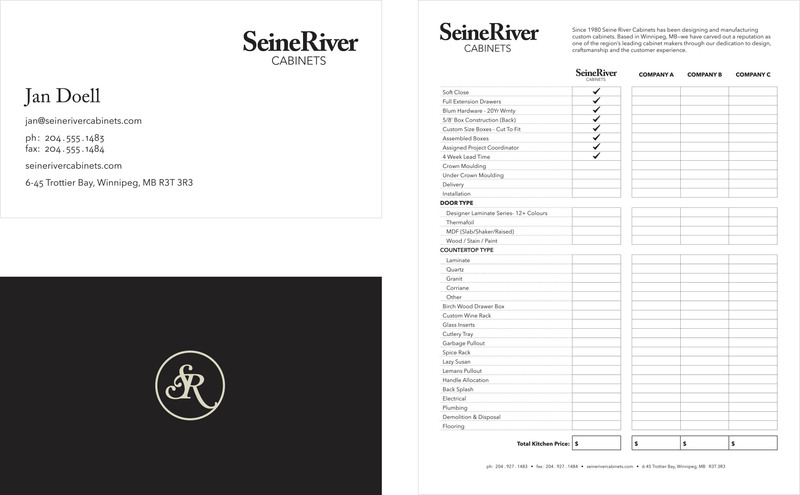 To help Seine River articulate the elements of their newly developed brand in a concise and consistent manner, a brand book was developed. This was written for two audiences: internal stakeholders and external stakeholders (including advertising and marketing partners). 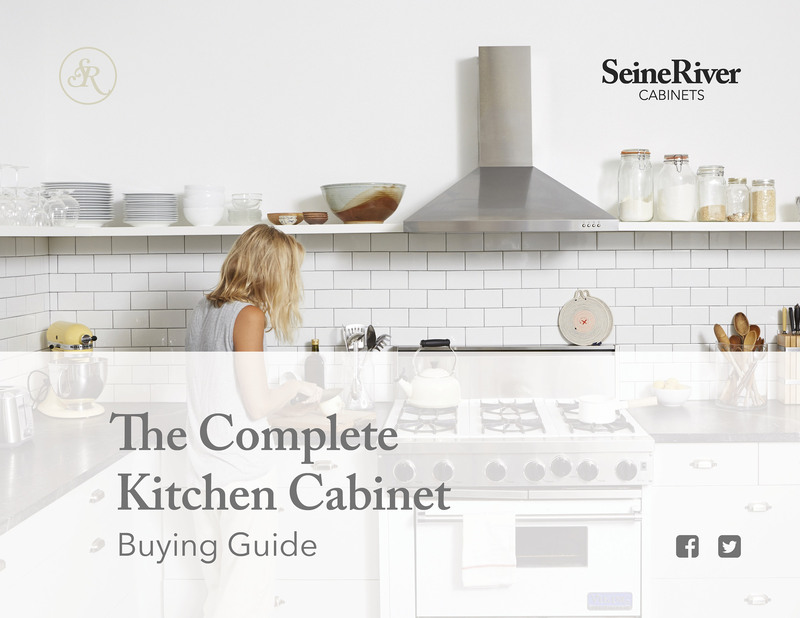 A robust kitchen cabinet buyer’s guide was produced, illustrating every step of the cabinet-buying process. The guide was created to be multi-channel in that it would live on the Seine River website, downloadable as an interactive PDF, and could also be printed as a saddle-stitched booklet to be used in the showroom and at tradeshows. Once the brand strategy had been developed and the brand identity was fully implemented, we developed a market strategy that included a comprehensive marketing and advertising plan for the new brand. Through research of the competitive landscape, a number of strategic gaps that would help guide the investment and allocation strategy were identified. 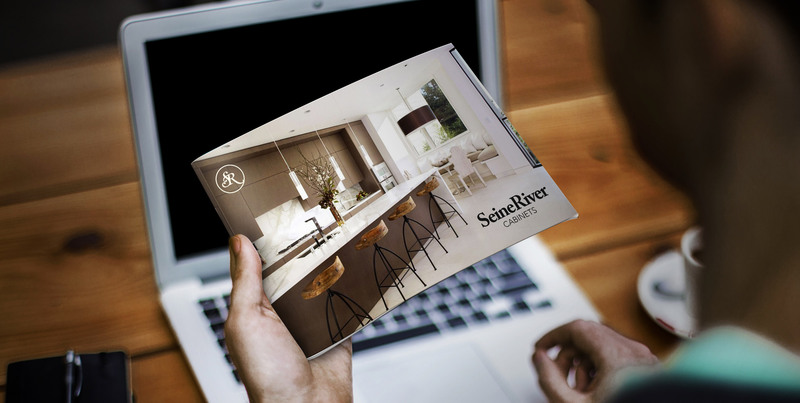 Seine River’s previous strategy had heavily leaned towards local print advertising. The new strategy was built around the customer journey, as it was evident that customers would be engaging with the brand across multiple channels. This strategy also encouraged Seine River to focus their efforts on customer loyalty, and driving customer advocacy across their journey. Within six months of working with Seine River on the implementation of their multi-channel marketing and advertising strategy, significant positive results were measured. The following is a summary of the achievements that were reached within the first six months of implementing the new brand identity and marketing strategy.